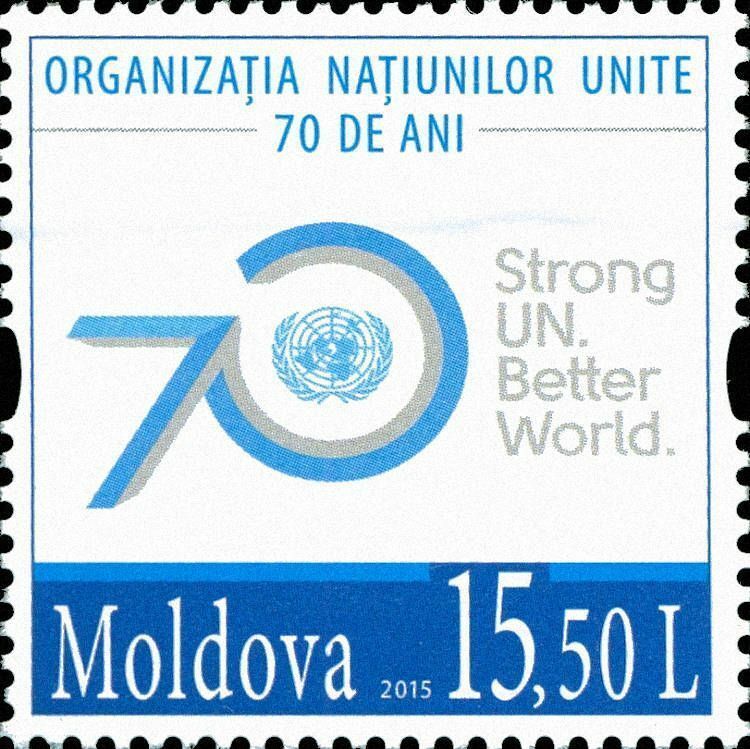 On 24 October 2015, the Post Office of Moldova (Poșta Moldovei) issued a postage stamp with the title United Nations Organization - 70th Anniversary. The issue comprises one stamp, with an associated cancellation (postmark) and first day cover (FDC). The designer was Vitaliu Pogolşa. The printing was performed by Nova Imprim, Chişinău. This article uses material from the Wikipedia article 'United_Nations', which is released under the Creative Commons Attribution-Share-Alike License 3.0.